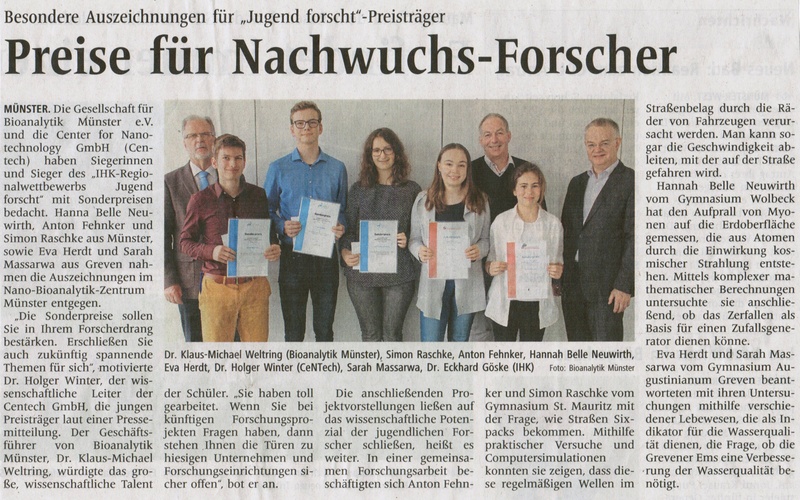 Once again, the CeNTech GmbH and the bioanalytik-münster association awarded special prizes to this year's winners of the IHK regional competition "Jugend forscht" in the fields of physics and biology. 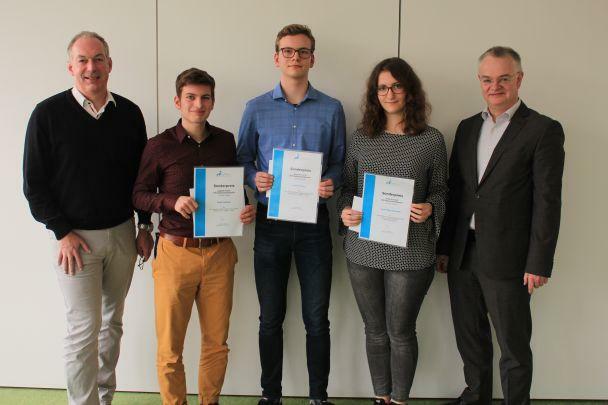 The representatives of the two institutions Dr. H. Winter and Dr. K.-M. Weltring congratulated the highly motivated students on their outstanding scientific achievements. Dr. Winter: "They show impressively how much talent, thirst for knowledge and creative power are in young scientists."